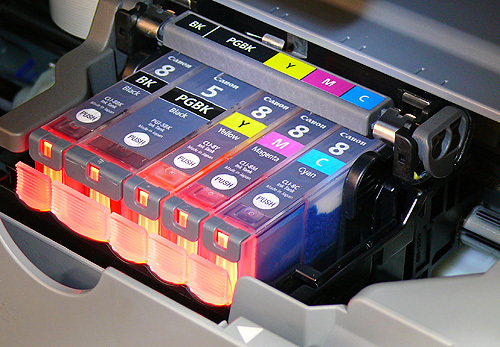 Most of you with color ink jet printers have noticed that the printer’s ink cartridges come in cyan, magenta, yellow and black (CMYK) which are the basic ink colors used in printing. Using these colors your printer can produce a beautiful photograph with shades of all different colors. By mixing these same colors of fountain pen ink, many different shades of ink can also be created. 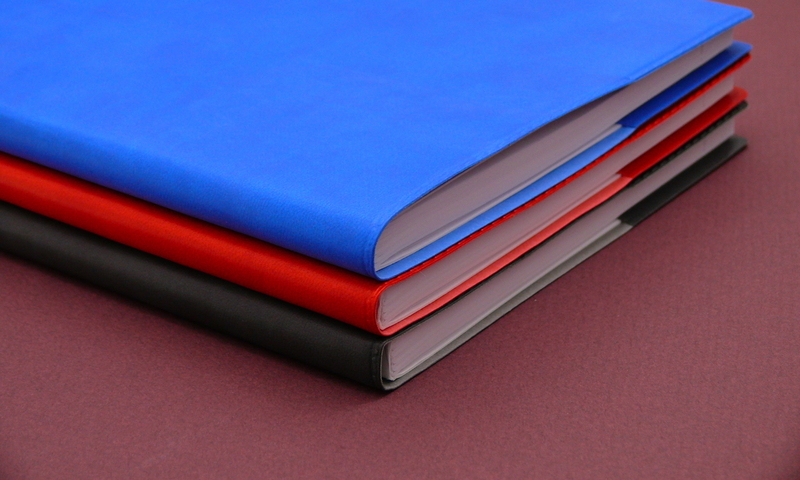 For people like me, who love to use a different color of ink every time they refill their fountain pen, it is great to have these basic colors on hand to make custom ink colors. Ink mixing is also a good way to create special colors that you may not be able to buy off the shelf. The equivalent of cyan, magenta, yellow and black in the Noodler’s Ink collection are Navajo Turquoise, Shah’s Rose, Yellow and Black. If you like light and bright colors of ink like pink, light lime green or light blue, you might want to add Noodler’s The Whiteness of the Whale ink to your collection. This ink is specially made for ink mixing and making these types of colors. Using all Noodler’s inks for your ink mixing is an easy way to safely mix ink and minimize the chance of any gunky reactions. We recommend making a test batch of ink before adding it to your fountain pen, and an ink mixing kit or small dropper bottles are convenient ways to do this. 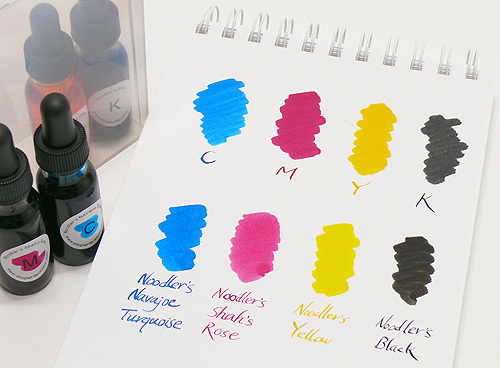 If you’re new to fountain pen ink mixing and want to give it a try, Writer’s Bloc has put together a nice starter kit for creating custom ink colors. This kit includes approximately 1/2 oz each of four basic Noodler’s Ink colors – Navajo Turquoise, Shah’s Rose, Yellow and Black. In the future, we’ll be posting an ink mixing color chart to help you get started on your adventure. Happy ink mixing and please send some of your ink mixing recipes our way! For more information on CMYK and RGB color models, how they’re different and what their advantages and disadvantages are, take a look at this handy cheat sheet infographic from firstsiteguide.com. Hello. This is a very interesting article, and I found it when I was doing some research about various colours of ink. Right now, I cannot get Noodler’s Yellow. For mixing purposes, would Noodler’s Firefly work? It is the bright yellow ink that is used as a highlighter. Or would highlighting ink not be recommended for general mixing purposes? Apart from that, my local stores have various shades of gold and the only other true yellow that I can seen to find (which is out of stock right now) is Rohrer & Klingner’s Helianthus. Since it might be a while before it is available, that’s why I wondered if using Firefly would work, or if it is not a good one for mixing. Many thanks. Noodler’s Firefly is suitable for mixing, but it is a good idea to avoid ink mixing with Noodler’s Year of the Golden Pig. I mix with J. Herbin’s yellow ink a lot and it works great – Bouton D’or. Platinum Mix-Free Sunny Yellow is a good choice too.